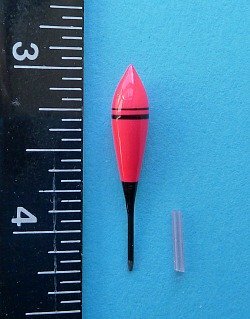 The micro fishing photo tank isn't exactly what I've been looking for, but it is awfully close. I've been looking for a suitable photo tank for a while now. There are some nice Japanese ones, but they are very expensive. A number of people here have made do-it-yourself tanks, and any number of plastics companies will custom make them, but I really wanted to find an off-the-shelf product that would work and be reasonably priced. This tank is the closest I've come across (and thanks to gunner48 on the North American Native Fishes forum for finding it). A photo tank is very useful for getting a nice photo of your catch while keeping it in water so it can still "breathe" and won't flip out of your hand while you ready your camera. 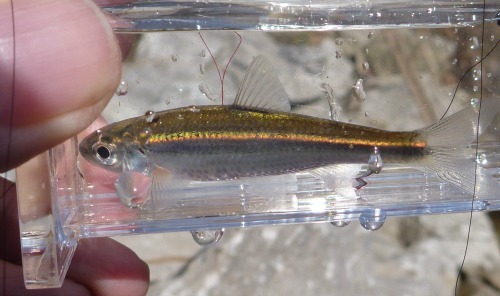 Additionally, identifying some species is much easier when their fins are spread - which they are in water and aren't in your palm. The micro fishing photo tank really is micro sized. The inside measurements are just 3.5" x 1.5" x 1.5". There is also a hinged lid. It won't hold some of the larger species, but it will fit in your pocket. I have finally found a wholesale supplier for the photo tanks so I can offer them at a much lower price. 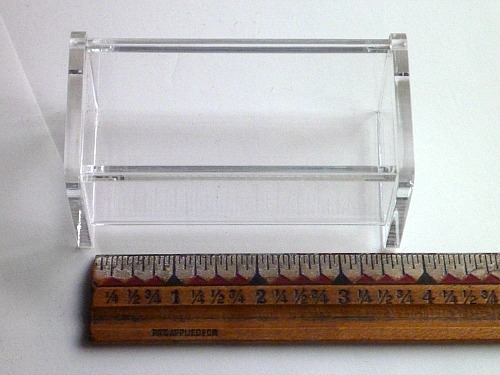 If you need a slightly larger tank, perhaps for photographing small sunfish, consider the 3X5 Photo Tank. Please note: if you live outside the US, you MUST add international shipping.